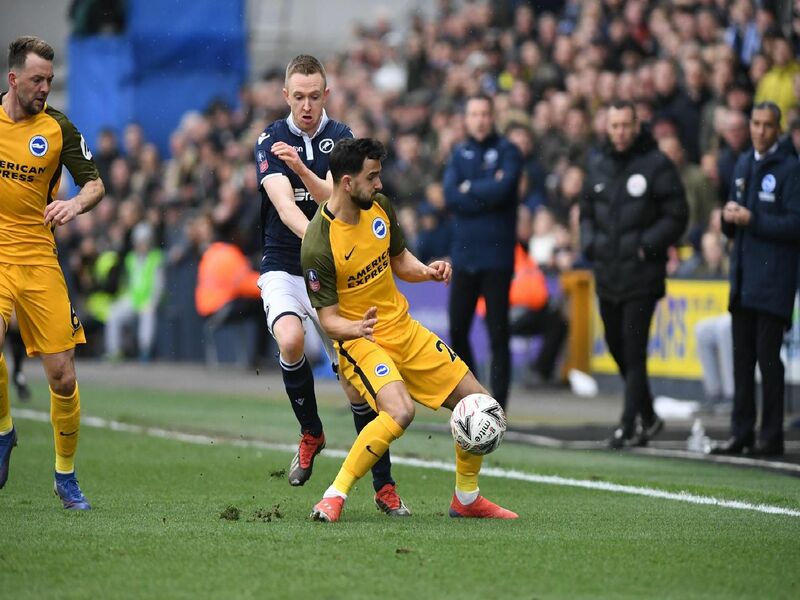 Brighton are through to the semi-finals of the FA Cup after beating Millwall on penalties at The Den this afternoon. Late goals from Jurgen Locadia and Solly March forced extra-time, before Albion won 5-4 on spot-kicks. Here's how we rated the players of both teams. Got back quickly to claim the ball before Gregory after his clearance hit team-mate Duffy and rebounded towards goal. Stood up to block Wallace's shot. No chance with either goal. Crucial save in the shoot-out. Tried to support Albion going forward but allowed O'Brien to get in front of him to make it 2-0 late on. Booked. Blocked shots by Wallace and Williams in quick succession in the first half. Had to be strong defensively up against Gregory. Penalty appeals waved away when he was dragged back by Cooper. A couple of crucial interceptions at 0-0. Gregory proved a handful for the Albion defence. Kept his cool to put Albion 5-4 ahead in the shoot-out.